Taking over directing duties from Jon Favreau, Shane Black, who seems to have a fascination for setting movies during the Christmas season (Lethal Weapon, Kiss Kiss Bang Bang) also wrote the script alongside Drew Pearce. 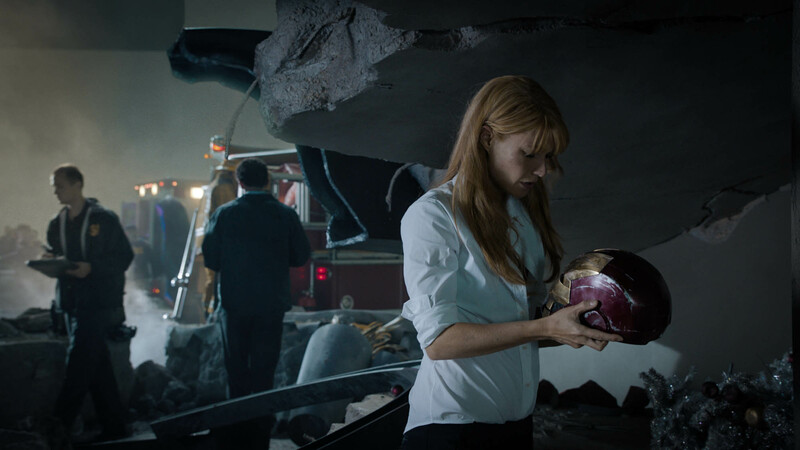 Tony hasn’t been sleeping, has been suffering from anxiety attacks, and isn’t being the most attentive fellow when it comes to Pepper Potts (Gwyneth Paltrow). Shane Black’s scripts and films tend to put characters in dark spaces and have them fight their way back… In this one Tony is stripped right down as he goes after The Mandarin (Ben Kingsley) while investigating a bombing which left his friend, and former bodyguard Happy (Favreau) in a coma. As he states in a press conference, its pure revenge. Not exactly a shining beacon of hope and light. 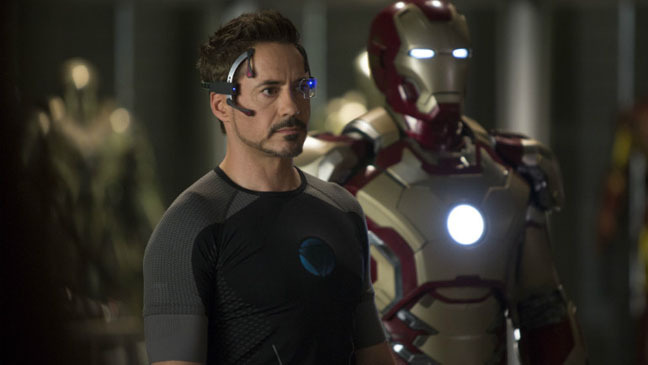 The same evening, he brushes off Guy Pearce’s nerdish Aldrich Killian, who later returns with romantic designs on Pepper and a hopeful alliance with Stark Industries. The Extremis project allows for limb and life regeneration, but it doesn’t work for everyone, sometimes with disastrous consequences. The Mandarin has a plan with the president (William Sadler) in its cross hairs. And Tony must do all he can, without his suit, which dies out after escaping an Mandarin attack and flying to a backwater town. It’s there he meets up with a young kid named Harley (Ty Simpkins). Now usually when a kid turns up in an action flick of this nature I start to worry, hoping that we’re not descending into some buddy-type action movie with fart jokes. Not this time around, Harley actually helps in a believable way, and Simpkins makes him a real kid. I was pleasantly pleased with that side of the story. 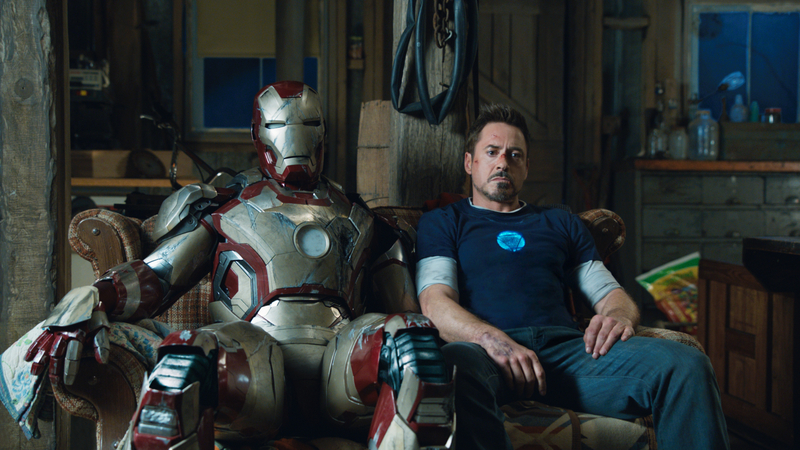 Rhodey (Don Cheadle) gets his moments as well, as War Machine is rebranded as the Iron Patriot and gets to give Tony a helping hand, all while worrying about his friend’s conditions. 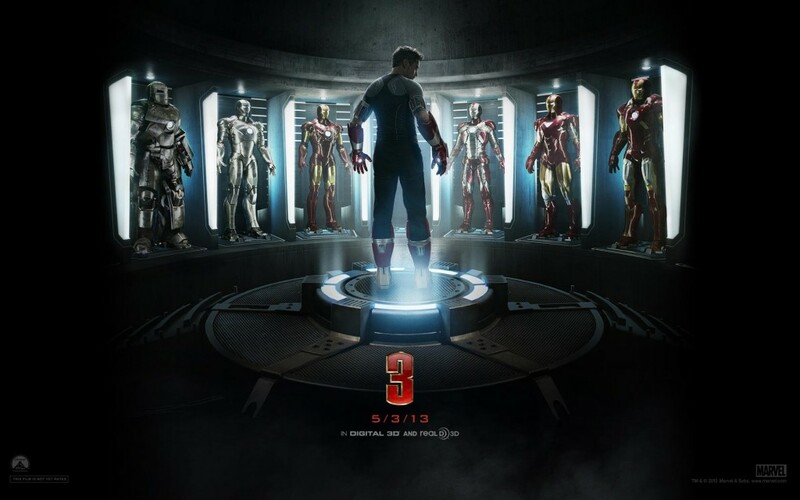 There were a couple of things that bothered me, after three films establishing AC/DC as kind of Tony’s signature music… there wasn’t a single track used this time around, though I do like Brian Tyler’s score and the other big thing was that amazingly, the Iron Man suit seems to be one size fits all. Weird. I loved that we saw Tony in a darker place this time around, confronting his demons, though I’m still hoping we get one based on his alcoholism as well. Black’s story and direction seemed the perfect place to take Tony after the events of The Avengers, and continues to make him a human character, which makes him all the more appealing to the viewer. The film is also stock full of pop culture references and witty throwaway one-liners that I guarantee you won’t catch the first time around (his escape from the Mandarin’s complex starts out hilariously), my favorite is when Tony faces off against an Extremis-enhanced soldier named Savin (James Badge Dale) and refers to him as Westworld! I was the only one in the audience that laughed at that. Probably because I’m the only one that got the reference… sigh. The aerial sequences are stunning, all the more so for the 3D IMAX presentation, the entire film is gorgeously shot, and edited, running for a just enough 130 minutes. But even as soon as it was over, I would have happily turned around to watch it again. And of course, the smart viewer knows to stay in their seat for the post-credit stinger and this one was well worth the wait, eliciting laughter and smiles from those of us who remembered to stay. Having already made $175 million over its opening weekend, I’d say Marvel continues to do something right with their properties, and they are continuing to attract top-name talent to be involved in it. That being said, I do want DC’s Man of Steel to be good, Superman is a character that has long resonated with me, but for me Tony Stark is just plain cool. Did you see it over the weekend? 2D? 3D? IMAX? What are your thoughts?